Insurance companies use many factors to price your insurance. They include your driving record, claims history, the type of home or vehicle you own and, in some states, your credit-based insurance score. Your credit-based insurance scores is not the same as your personal credit score, nor is it a measure of your credit worthiness. The credit-based insurance scores is a number that measures your likelihood of having an insurance claim. Studies have shown that consumers with higher credit-based insurance scores have fewer and less severe losses. For this reason the credit-based insurance scores is useful as a rating factor, but in those states where it is used, it is only one of many that are used. A thrift store sold a rocking chair to a buyer (John) in June. Once at home, John sat in the chair and it broke. It caused bodily injury. John is suing the thrift store for special damages as well as pain & suffering. A chamber of commerce held their monthly membership meeting at a local hall. One of the attendees tripped on a frayed extension cord near a puddle of water forming from a ceiling leak. The attendee was shocked by the electric and broke his leg. He then filed a suit against the chamber to cover his medical expenses for the slip and fall. Three club members attended a dance at the local masonic lodge where they each consumed several cherry martini mixed drinks. One hour after leaving the dance they were involved in an accident where one passenger sustained a traumatic head injury. He was in a coma for two months with over $350,000 in medical bills. The passenger sued the club for serving an intoxicated person. A parent and child selected a new family pet at an animal shelter. While petting the animal in a room reserved for this purpose, the dog lunged for the child and bit him on the hand. The child received ten stitches. The parents of the child filed a lawsuit for pain & suffering as well as emotional trauma. A donor made a large contribution to a local Youth Community Center requesting that the money be used to enhance the building’s facilities for the children that belong to the club. The board of directors instead voted to use the money to buy a new car for the Community Center Director. The donor filed suit alleging misappropriation of funds. A registered nurse administered a pain relieving intravenous drug to a Hospice patient. There was an allergic reaction causing the patient to break out into a painful rash. The patient’s family is upset and sued for pain & suffering. The local youth sports organization’s storage trailer was broken into by vandals. All the uniforms for the baseball, basketball and soccer teams were stolen, as well as a pitching machine and other miscellaneous sports equipment. The organization suffers a loss of $10,000 as a result of the stolen property. We specialize in Insurance for Non-Profit and Social Service Organizations! Commercial Property Insurance May Cover "Extra Expenses"
Many businesses buy business interruption coverage to cover a loss of business income in the event of a covered loss. Business income provisions generally provide benefits for an amount of time designated in the policy, typically termed the period of restoration, or until the business is able to resume operations. Most commercial policies have additional business protections that might fall under the business interruption umbrella, such as "extra expense coverage" or other added coverages to cover specialized losses such as valued papers, electronic data, debris removal, etc. Generally, "extra expense" can cover relocation costs for a business or increased labor costs when a business uses best efforts to mitigate the business interruption and continues operation. "Extra expense" is often defined as the necessary expenses during the period of restoration that would not have been incurred without the loss. Typical commercial policies exclude or provide limited coverage for losses to valuable papers, electronic data, and records. In the age of electronic data, computers are necessary in almost every business and valuable records are kept on site on local computer terminals. Extra coverage for databases and other electronic media should be considered. It just may be such specialized coverage saves an insured extra headache and aids in a more complete and speedy loss recovery. The Florida Department of Economic Opportunity (DEO) is the state agency that handles unemployment claims for Florida workers. DEO is the state agency responsible for paying unemployment benefits (now called "reemployment assistance benefits") to workers who lose their job and qualify for unemployment. DEO is alerting Florida employers of a possible scam email that appears to be coming from DEO but is really an identity theft scam. The email is from "@detma.org" and is not affiliated with the DEO, Workforce Florida or Florida Reemployment Assistance. Please DO NOT to click on the link contained in the message. Reports of this email scam have come from other state's unemployment assistance agencies. DEO will never request information from employers on behalf of a third party company. If you receive email correspondence from DEO regarding unemployment compensation/reemployment assistance, the address will end in “deo.myflorida.com”. We have included a sample of the scam email below. Alice, who owned a coffee shop in FL, was informed by her payment card-processing bank of a potential data breach in her point-of-sale system. A forensics investigation found unintentionally stored credit card numbers. However, the payment card processor demanded indemnification for fines assessed by the credit card companies who alleged a data breach. The payment card processor withdrew $10,000 from the restaurant’s bank account and sued Alice's restaurant for the balance of $80,000. It's a startling fact - simple human error accounts for three out of four incidents. Ponemon Institute’s 2010 annual study estimates an average post-breach cost of $214 per record. Although this includes $141 in lost business cost, the remaining $73 of actual remediation cost per record can add up quickly. Hotel customer’s credit card stolen from hacked server. A physical therapy company dumped sensitive customer information into garbage containers behind its facility. The records included Social Security numbers, credit and debit card account numbers, names, addresses and telephone numbers. Laptop with employee information stolen out of a parked car. 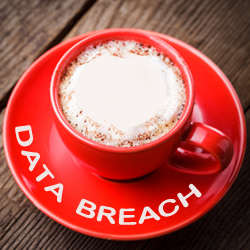 Data breaches occur every day. While hacking incidents are the most recognizable and expensive cause of data loss, they are not the most common. It’s a startling fact - simple human error accounts for three out of four incidents. Barb's landed a big one! A record breaking 17 pound snook approximately 40" long on 10 pound test!!! Where? Wading at the Sebastian Inlet sandbar. Whoot Whoot! If we can do this just imagine what we can do for your insurance! Contact us TODAY so we can land YOU Big Record Breaking Insurance Savings! If your business sells books, clothing, footwear, certain accessories, school supplies, or personal computers in Florida, the upcoming Sales Tax Holiday may impact you. For 3 days in early August, these items will not be subject to state sales tax (if they meet certain price restrictions). The tax-free days will run from 12:01 a.m. on Friday, August 2nd through midnight on Sunday, August 4th. If you have questions about the sales tax holiday, call the Department of Revenue’s toll-free Taxpayer Assistance line at 800-352-3671 weekdays between 8 a.m. and 7 p.m. Or, you can visit the Department’s website at www.myflorida.com/dor. A great way to stay out of the kitchen in the summer is to grill outdoors. The number one rule for grilling is not the secret family recipe for BBQ sauce or those hard to find briquettes – it's S-A-F-E-T-Y! More than 7,000 home fires each year involve gas grills, according to the National Fire Protection Association (NFPA), and nearly 30% of grill-related fires begin on a patio, porch, or balcony. 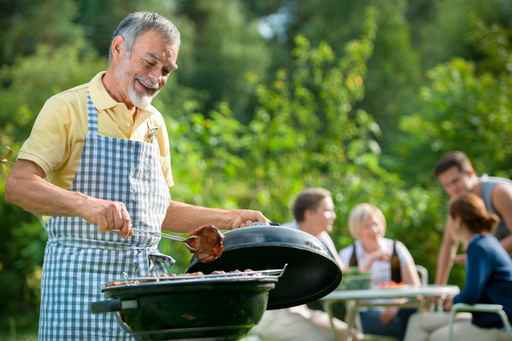 Besides property damage, more than 10,000 emergency room visits each year are caused by grilling mishaps. Charcoal grills are responsible for the majority of home fires and injuries rather than gas grills, but each type can be dangerous. Significantly reduce your chances of grilling-gone-wrong by following these simple safety precautions. Grills should only be used outdoors and at a safe distance from exterior walls, siding, eaves, deck railings, low hanging tree branches, etc. Never ever leave a grill unattended when lit or in use. Know how to use your grill and regularly inspect gas grills for problems, such as a fuel leak or clogged line. Routinely remove grease buildup from grills, and be sure to keep them clean to help prevent flare-ups caused by debris. If using a charcoal grill, do not dispose of the coals until they are completely cool, and be sure to put them in a safe, nonflammable container outside your home – not in your garage. Be sure to keep kids and pets away from the grill area, and don't wear loose clothing if you are grilling. Always have a fire extinguisher close by and a phone to call 9-1-1 if needed. For more tips on safe grilling, visit SafeKids.org. 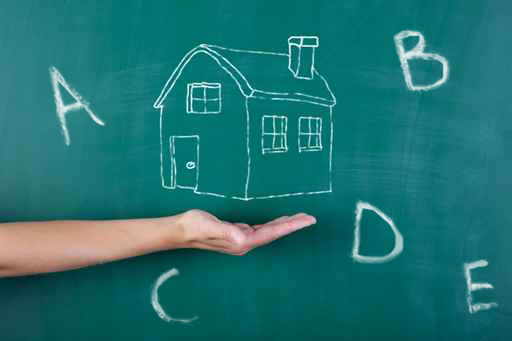 The coverages on your homeowners insurance policy may seem like alphabet soup: A, B, C, D, E.... What are the coverages, and why are they important? Here's a quick summary. Coverage A: Anything involving the physical structure of your home, generally termed "dwelling." Coverage B: Other structures that are not directly attached to your home, such as a separate garage, shed, or fence. Coverage C: In a word, the "contents" of your home. If you flipped your house upside down, everything that fell would be contents. It is all the items that are not attached, or built-in, to your home. Check with your insurance agent to be sure that you have adequate coverage, and that your policy has been updated to include recent home improvements or high-value items. Your agent has access to Replacement Cost Estimate (RCE) software that can help in estimating whether or not your current Coverage A amount is adequate. A complete home inventory will help you find out if your contents (Coverage C) amount is adequate, or if you need to purchase additional coverage for some items. Here are some examples: your new diamond anniversary ring; great-grandma's antique silver service and china set; the mini music recording studio in your garage; or the coin collection you recently inherited from your great-uncle. After you finish your home inventory, or if you have questions during the process, check with your insurance agent to be sure that your policy includes the coverage you need. "Other structures," Coverage B, is often the most confusing. Most commonly, other structures are defined as those which are "set apart from the dwelling by a clear space." Example: A fence that is not attached to the dwelling is generally included under Coverage B (Other Structures), but if the fence is attached to your house, it is considered part of Coverage A (Dwelling). Is your garage separated from your house, or attached? Is your workshop a stand-alone building in your backyard, or part of the garage attached to your house? If you spent all spring building a new gazebo in the middle of your back yard or redecorating your stand-alone pool cabana, check with your insurance agent to find out if you are covered. The cost of other structures, such as pool decks and screen enclosures, can add up quickly, so you want to be sure they are included under the Coverage B portion of your policy. You may also want to ask you agent about adding an Emerald Endorsement to your Tower Hill policy, or a Personal Articles Floater (PAF) for high-value items.